Harry Boykoff was an schoolboy star at Thomas Jefferson High School in Brooklyn. He played three varsity seasons at St.John’s College in Brooklyn under the tutelage of of Joe Lapchick, the center on the great Original Celtics’ of the 1920’s. Boykoff led St.J0hn’s to a 21-3 record and the National Invitational Tournament championship in 1943. At the end of the season he was named a consensus All-American. Despite far exceeding the height limit of 6 feet 6 inches, he successfully enlisted and served in the army during World War II. After the war, Boykoff returned to St, John’s for two more seasons and led the team to the NIT both seasons. 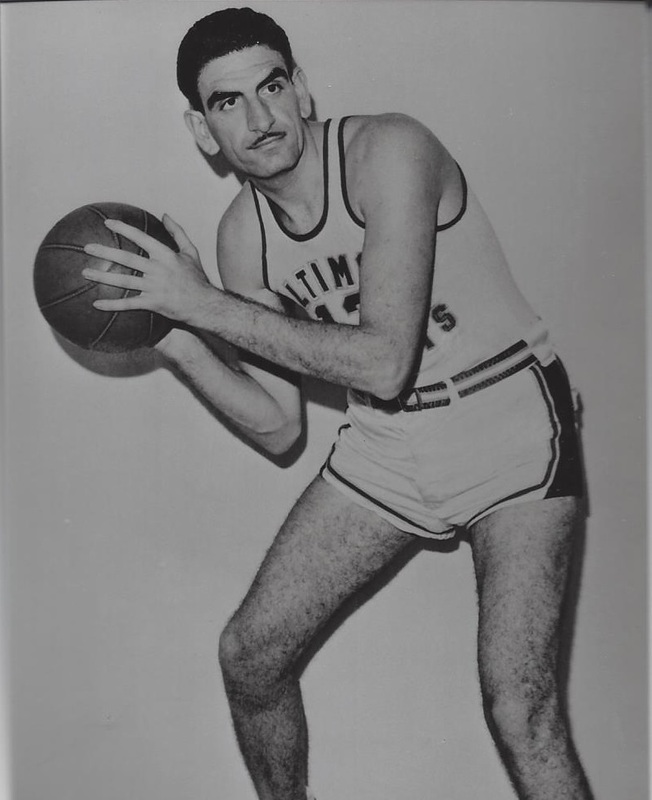 After graduation in 1947, Boykoff played four seasons of professional basketball he which he averaged 10.7 points in 229 games. Boykoff was never a star in the professional game, but was a valuable rebounder and strong scorer featuring an excellent sweeping hook shot. His shortcomings in the pro game were due to his lack of mobility and his tendency to foul too much. Knee problems cut short his career after just four seasons. After retiring from basketball, Boykoff became a successful businessman in New York City. Later in his life. he moved to Los Angeles where began another career making television commercials and appearing in small roles in television shows and movies.